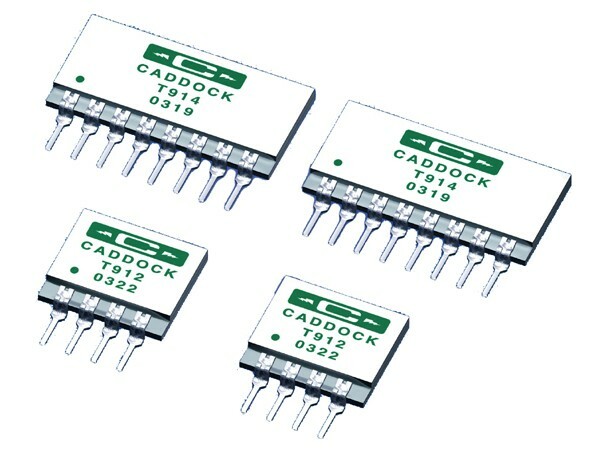 Product information "T912 and T914 Precision Resistor Networks"
Type T912 and T914 Precision Resistor Networks are constructed with Caddock Tetrinox® resistance films to achieve the precise ratio performance and stability required by highly accurate amplifier circuits, voltage reference circuits, and precision bridge circuits. Ratio Tolerance - from 0.1% to 0.01%. Ratio Temperature Coefficient - 10 ppm/°C, 5 ppm/°C or 2 ppm/°C. Absolute Temperature Coefficient - 25 ppm/°C. Ratio Stability of Resistance at Full Load for 2,000 hours - within 0.01%. Shelf Life Stability of Ratio for 6 Months - within 0.005%. Related links to "T912 and T914 Precision Resistor Networks"
Customer evaluation for "T912 and T914 Precision Resistor Networks"